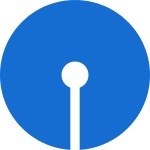 State Bank of India shortly called as SBI is one of the leading multinational banking and financial service public company (NSE: SBIN, BSE: 500112, LSE: SBID, BSE SENSEX Constituent, CNX Nifty Constituent). State Bank of India was established during the year 1956 and is headquartered in the country's financial capital of Mumbai in Maharashtra. State Bank of India offers a long list of banking products and services which include personal banking, agricultural or rural banking, NRI services, international banking, SME, internet banking, mobile banking, ATMs, demat, corporate banking and many other services. State Bank of India features a large network of branch operations with over 17,000 branches located across the length and breadth of the country. Find below the list of State Bank of India branches in the union territory of Puducherry along with their IFSC. Address: No.74, Iyan Estate, I.t. Office-karuvadikupam Main Road, Vasanth Nagar, Muthialpet, Pondicherry -605 003.